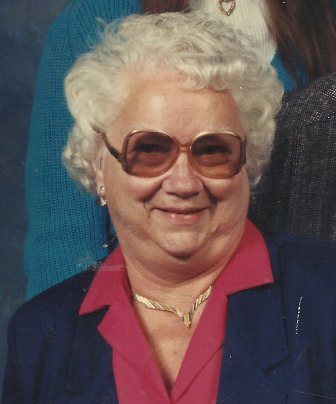 Esther P. Walker, 95, of Lancaster passed away on August 18th, 2011 at home. She was the wife of the late Elwood J. Walker. Born February, 5 1916 in Conestoga she was the daughter of the late Charles and Carrie Good Huber. Mrs. Walker, a homemaker dedicated her life to her family. She enjoyed gardening, music, cooking, reading the Bible and spending time with her family. Surviving are three daughters Cherie L. Walker Clay of Conestoga, Kim M. Walker wife of Peter Ondeck of Conestoga, and Tammy L. Walker of Lancaster, and 7 grandchildren. She was preceded in death by a son Randy J. Walker. Relatives and friends are respectfully invited to attend a funeral service at the Kearney A. Snyder Funeral Home, 141 E. Orange St. Lancaster, PA on Monday August 22nd at 2:00 PM. Friends may call at the funeral home on Monday from 1:00 PM until the time of the service. Interment in Willow Street Mennonite Cemetery. In lieu of flowers contributions in her memory may be sent to the Kearney A. Snyder Funeral Home to help pay for funeral expenses.